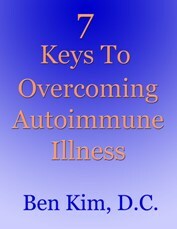 Are you looking for effective and concise guidance on how to overcome autoimmune illness? If so, I hope that my comprehensive and interactive program on overcoming autoimmune illness will give you all of the knowledge and support that you need to turn your health around. 7 Keys To Overcoming Autoimmune Illness brings together all of the dietary and lifestyle guidelines that I have learned over the past fourteen years through personal and clinical experience that are esssential to addressing autoimmune illness from the inside-out. By inside-out, I mean a comprehensive program that is designed to help you overcome your uncomfortable symptoms, and also to promote restoration of your health, cell by cell, to produce lasting positive change. Put another way, this program is not about a quick fix or experiencing temporary improvement. If you consistently apply the principles in this program, you can have peace of mind that will stem from knowing that you are optimally supporting your health for the long term and doing everything you possibly can to prevent a recurrence of your symptoms. A precise and easy-to-understand explanation of what autoimmune illness is and how it develops. The critical role that your digestive system plays in protecting you from or allowing the development of autoimmune illness. A simple lifestyle habit that, if fully adopted, can make a measureable difference in your symptoms and overall health. 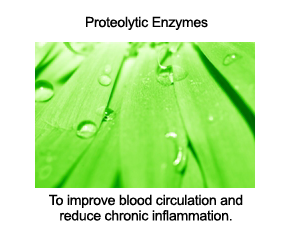 Specific guidelines on protein intake, a critical facet of autoimmune illness. Which specific foods best support recovery from autoimmune illness. 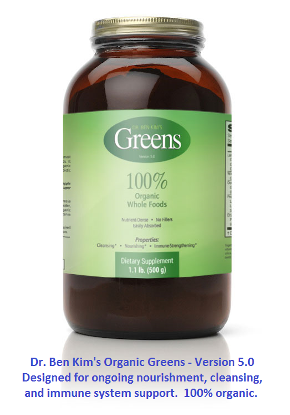 How to optimally cleanse your body during an initial 6-month period of scientifically supported detoxification. How to use the powerful connection between your mind and body to faciliate optimal healing and wellness. Part two of this program includes a series of weekly documents that provide suggestions on how to effectively cleanse your body and build up the strength of your digestive and immune systems. The weekly documents also include a series of mind-body exercises to support your emotional well-being - this component is critical to experiencing last health improvement. Finally, the weekly documents include a series of answers to quesitons that the original participants submitted as they went through the detoxification portion of this program. The weekly documents in part two of this program are spread out over two months because I have found that this format - taking manageable steps over time - effectively encourages participants to fully adopt the habits that are needed to establish a real foundation of health and maximize the chance of experiencing a full recovery. When I launched this program in the spring of 2007, my plan was to work closely with each participant for six months to one year, and then to offer the program again to a new group of participants. I significantly underestimated the amount of time that the interactive portion would require. Because I guaranteed a thorough personal reply to every question that was submitted, the program took up most of my working hours for the first two months of its course. While the effort was worthwhile and appreciated by participants who took advantage of the interactive feature of the original program, toward the end of the program, I decided not to offer the interactive feature again until I am able to free up more work time to do it just as thoroughly, but without compromising my own health. Due to the number of people on our waiting list for the second round of this program, I decided to provide the most important materials that were generated during the first round through this special report. Although my schedule will not allow me to provide real-time support until I am able to offer another interactive program, my hope is that this report will allow you to experience significant improvement in your health. The enrollment fee for the original interactive program was $477. This special report - which includes the most important materials that were generated from the first program - is available to people on our waiting list for $47. Once you purchase this special report, you will have instant access to it by following the downloading instructions in your confirmation receipt, sent to you via e-mail. Be sure to create an account as you go through the checkout process so that you can gain access to this report in the "Downloads" Section of your account area. If you already have an account with our shopping cart, please sign in during the checkout process. This special report is available only as an electronic document; no materials will be mailed to you. Click here to access the full special report. Medicolegal disclaimer: the information in this special report is not intended to replace the relationship that you have with your primary care provider. Any decisions that you make with regard to your daily choices and medical treatment should be made under the supervision of your primary care provider.